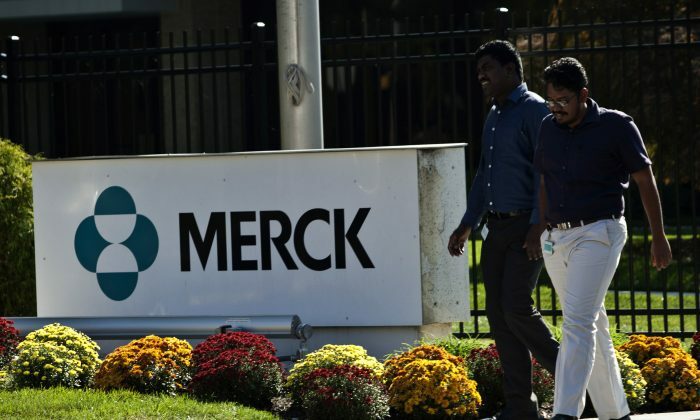 Pharmaceutical giant Merck & Co. announced this week that it would lay off 8,500 workers and reduce research and development (R&D) spending in an effort to rein in costs in a changing pharmaceutical landscape. The newly announced job cuts are in addition to the 7,500 cuts already underway, and the Whitehouse Station, N.J.-based company seeks to reduce about $1 billion in costs over the next year. The total layoffs represent roughly 20 percent of its 81,000-strong workforce as of June 30. “These actions will make Merck a more competitive company, better positioned to drive innovation and to more effectively commercialize medicines and vaccines for the people who need them,” said Kenneth C. Frazier, Merck CEO, in a statement. Merck reiterated its full-year guidance of between $1.58 and $1.82 in earnings per share (EPS). Third-quarter earnings will reflect between $900 million to $1.1 billion of one-time charges related to the layoffs. “We expect 2013 revenues to fall … primarily reflecting a projected steep drop in sales of Singulair respiratory therapy, which lost U.S. patent protection in August 2012, and negative forex,” according to a research note by S&P Capital IQ, Sept. 28. Today is challenging times for “Big Pharma.” High-priced name-brand drugs coming off patent protection in recent years have not been replaced with enough new products. The result of this shift is that cheaper generic versions of drugs flooding the market are cutting into margins of big pharmaceutical giants, which spend far more in R&D than smaller, generic drug makers. But the R&D is no longer paying off. The pipeline of new drugs—an indicator of future revenue—isn’t what it used to be. “A week ago, the Food and Drug Administration rejected [Merck’s] application for an anticipated anesthesia drug, Sugammadex, citing concerns about a hypersensitivity study in patients, and earlier this year the agency rejected an application for a new sleep drug, Suvorexant,” according to a New York Times report citing insiders with knowledge of the information. There are also concerns surrounding Merck’s existing drugs. Merck has traditionally been a leader in treating diabetes, especially with its popular drug Januvia. However, concerns over side effects related to Januvia, including pancreatitis and pancreatic cancer, have arisen in recent months. A study from researchers at UCLA and the University of Florida “provides evidence of increased precancerous changes such as dysplasia in the pancreata (pancreases) of diabetic patients using GLP-1-mimicking (incretin) diabetes drugs such as Byetta (exenatide), Victoza (liraglutide) and Januvia (sitagliptin), compared to pancreata from diabetics not using these drugs or those from non-diabetics,” according to Dr. Sidney Wolfe, director of Public Citizen’s Health Research Group. But for now, both the U.S. Food and Drug Administration and the European Medicines Agency concluded that there is insufficient analysis and data to warrant any drastic measures against Januvia or similar drugs. Merck counted more than 100,000 employees in 2009 after its $41 billion acquisition of Schering-Plough Corp. In December 2011, when chief rival Pfizer Corp. slashed jobs, Frazier was quick to announce that Merck would not follow suit and would focus on R&D. That strategy, apparently, isn’t feasible in today’s pharmaceutical industry. Instead of spending money to fund new research, pharmaceutical giants have found it to be cheaper to acquire smaller rivals in hopes of uncovering new discoveries. The acquisitions can be financed by a combination of cash, equity, and debt, and could come with a slew of drugs in the pipeline without having to work for it. Once companies are acquired, employees are laid off to boost cost synergies. The strategy has long been practiced by both Pfizer and Johnson & Johnson Co.
Frank Yu is a contributor to the Epoch Times.